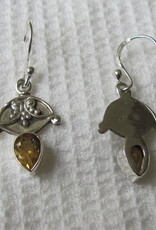 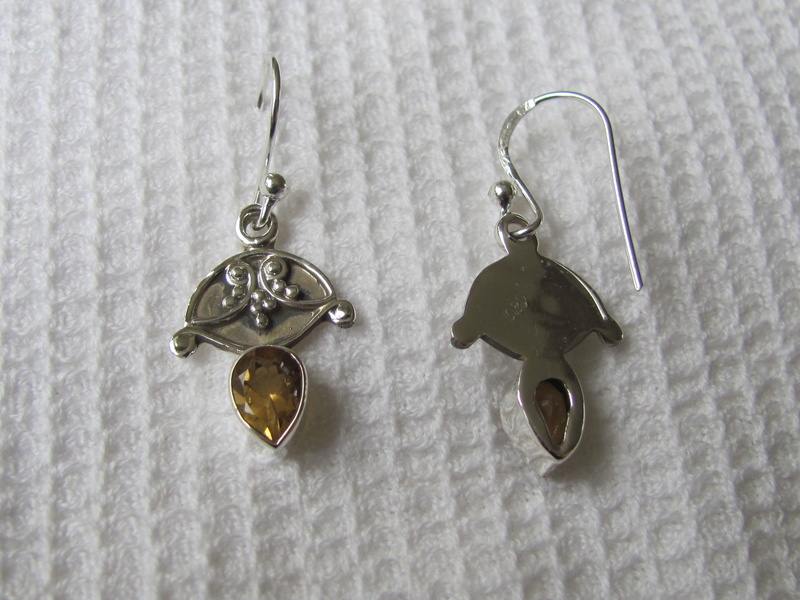 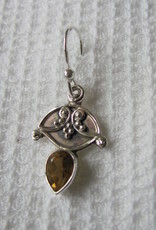 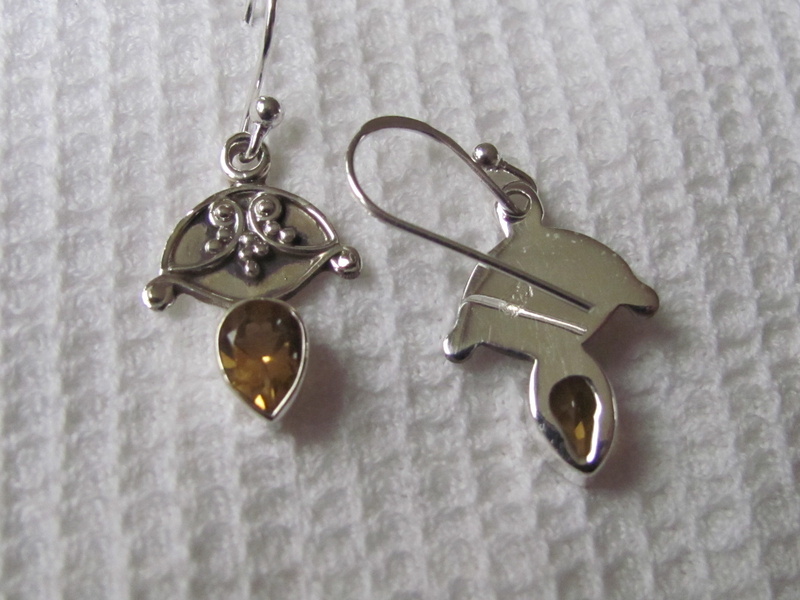 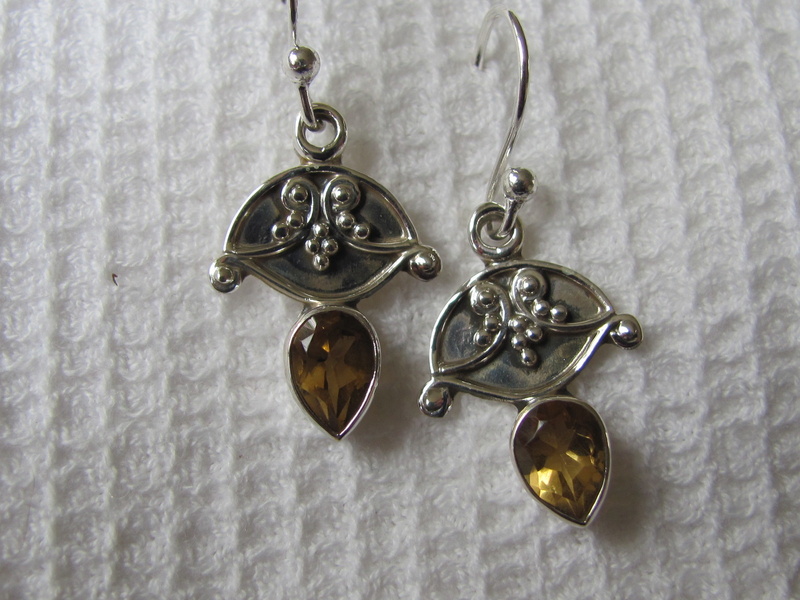 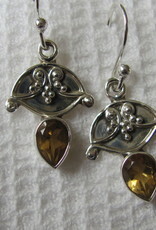 Silver earring set with a citrine stone, facet cut. 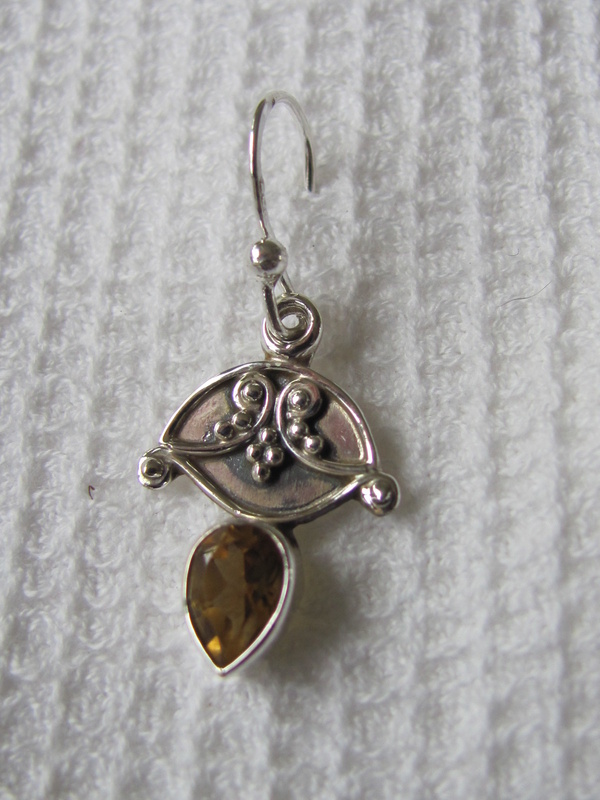 Made by a master craftsman in a workshop with good working conditions in Sitapura Jaipur Rajesthan 2 cm long excluding the ear hook. 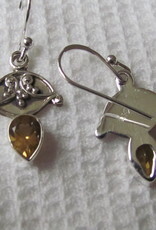 Fairly made with respect for all employees.